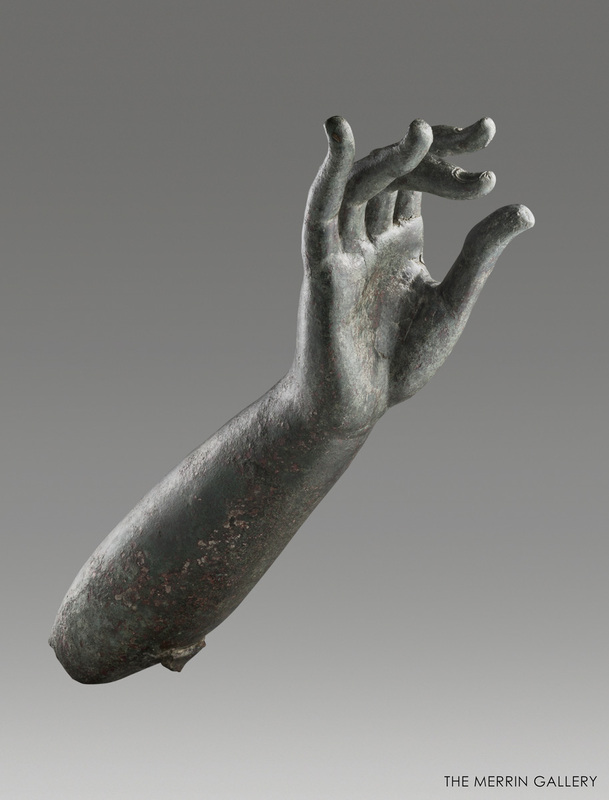 The right arm, preserved from below the elbow to the fingertips, comes from a monumental statue that was fashioned by the lost wax method of casting. Due to the size of the completed figure, the component parts were cast separately and then joined. The rough ridge at the base of the limb suggests that this element is one such unit and that its joint was covered by the robe worn by the figure. The physiognomy is well-rendered, especially that of the fingers. Note how the nails and cuticles are defined. 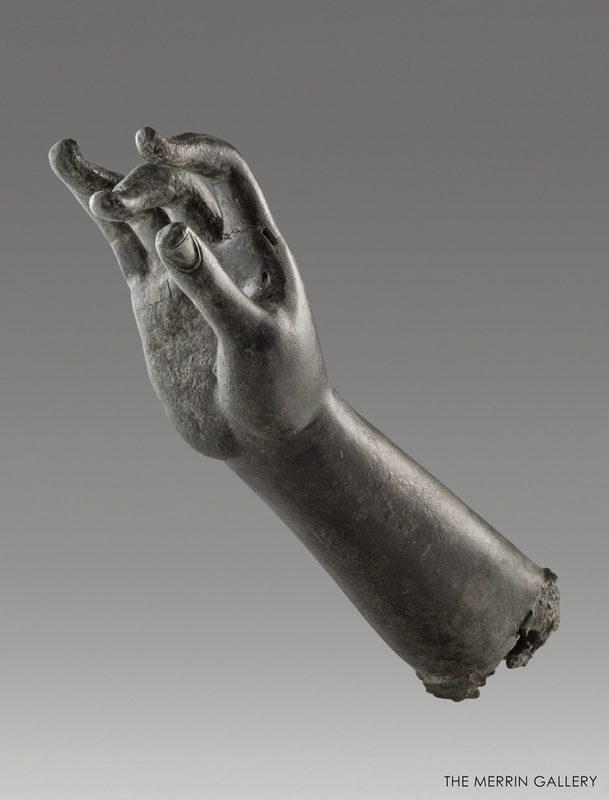 The expressive gesticulation – the tips turned up, the middle finger lowered as if to emphasize an utterance coming from the personage depicted – animates the limb and would have added to the liveliness of the statue.